The embed code provided by tableau will not work in ArcGIS Story Maps. 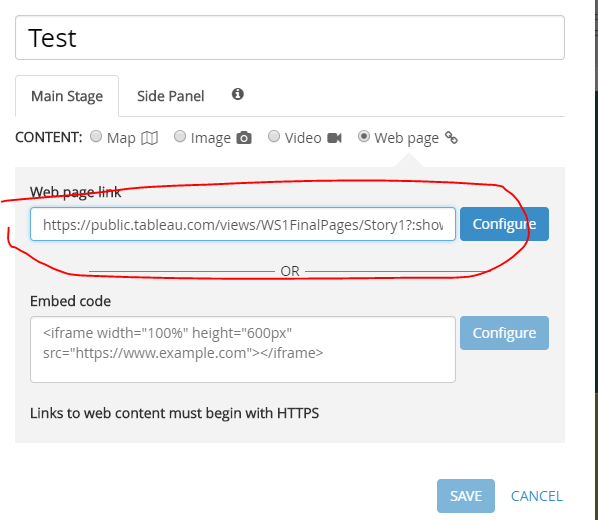 Instead you will need to use the Web page link option in the Story Map main stage. 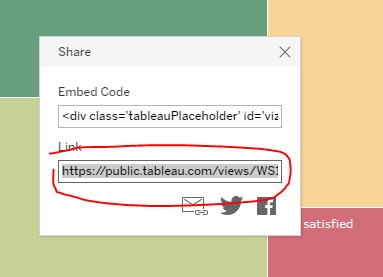 The Link from Tableau/Share will not work UNLESS the following changes are made. See the thread below for more details.